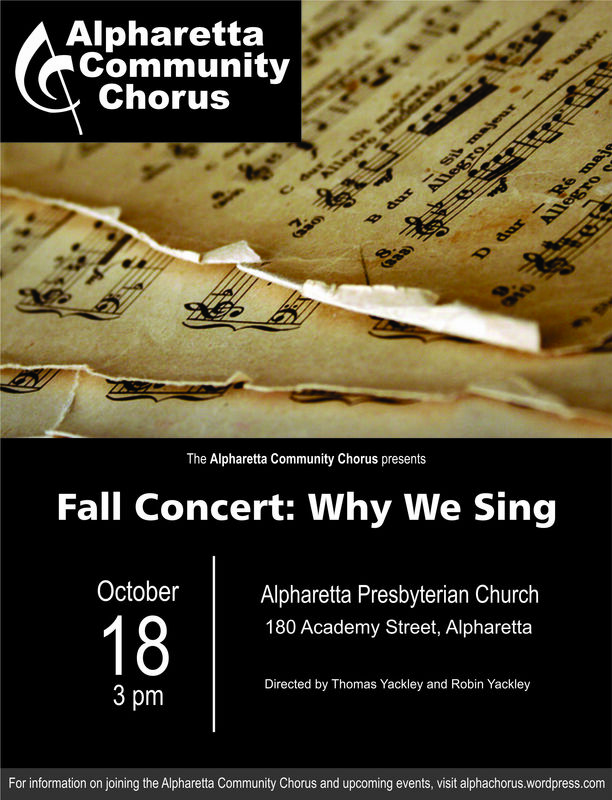 Our concerts are held in October, December and May at the Alpharetta Presbyterian Church. Concerts are open to the public. 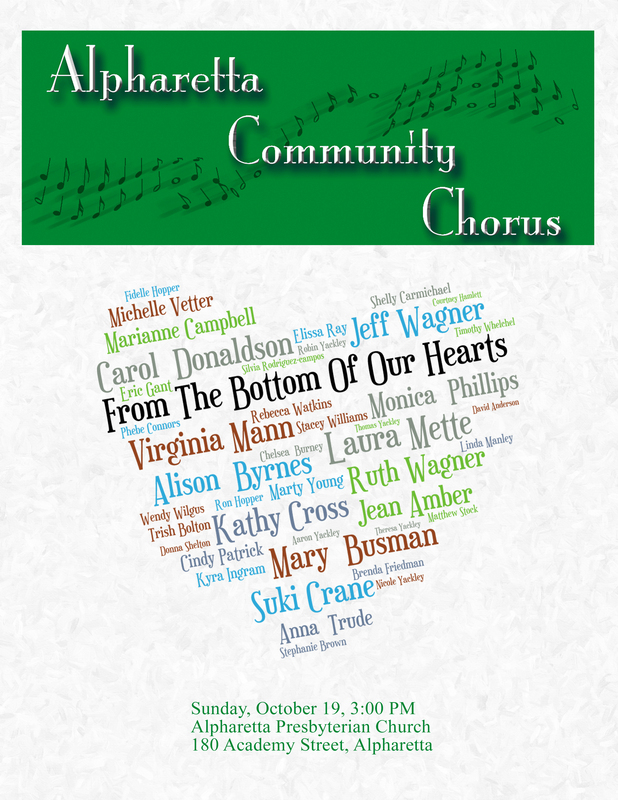 Join us for “Sing Along with the Alpharetta Community Chorus” at 6:00 PM, April 21 at the new Brooke Street Park Pavilion, East Lawn (behind the new courthouse and library). 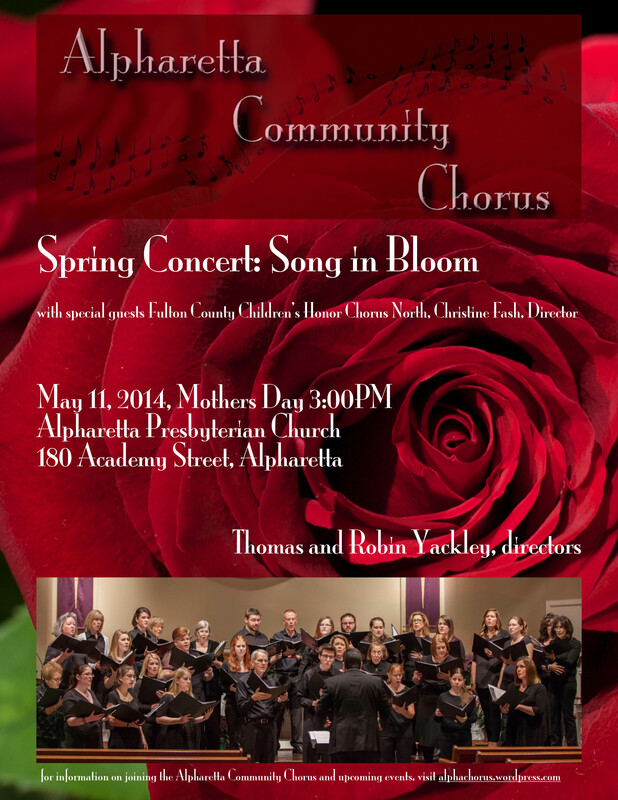 Bring a blanket and your family and come ready to sing! The words for all the songs will be available on our website. Click here! 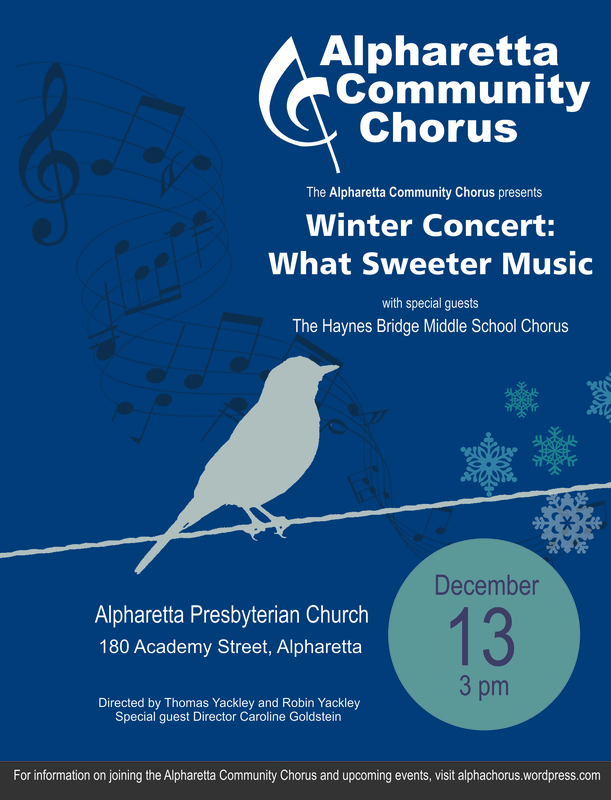 Our Winter Concert features the Haynes Bridge Middle School Chorus! Special Feature Concert: Wednesday, May 11, 7 PM, featuring the Ohio Northern University Chorus! 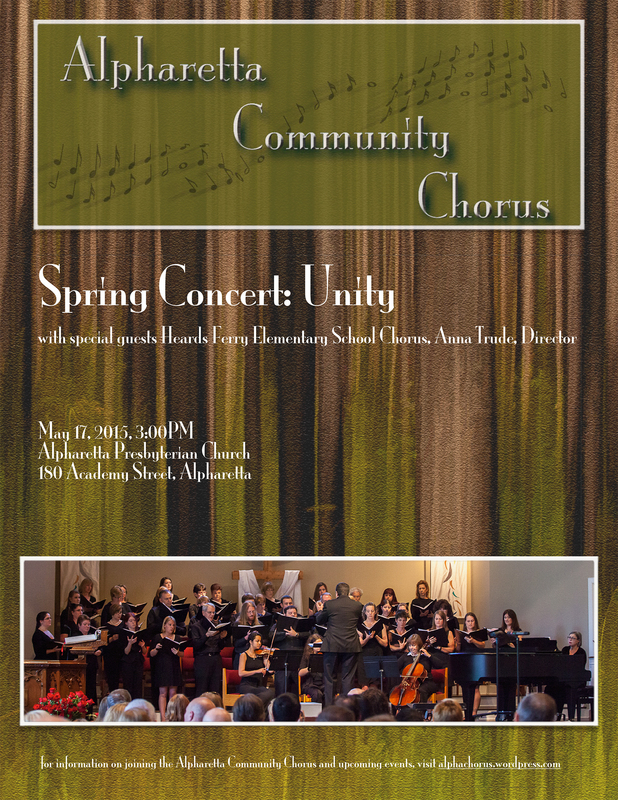 Our Spring Concert on May 17, 2015 at 3 PM will feature the Pergolesi/Durante Magnificat with orchestra and the Heards Ferry Elementary Chorus directed by Anna Trude. 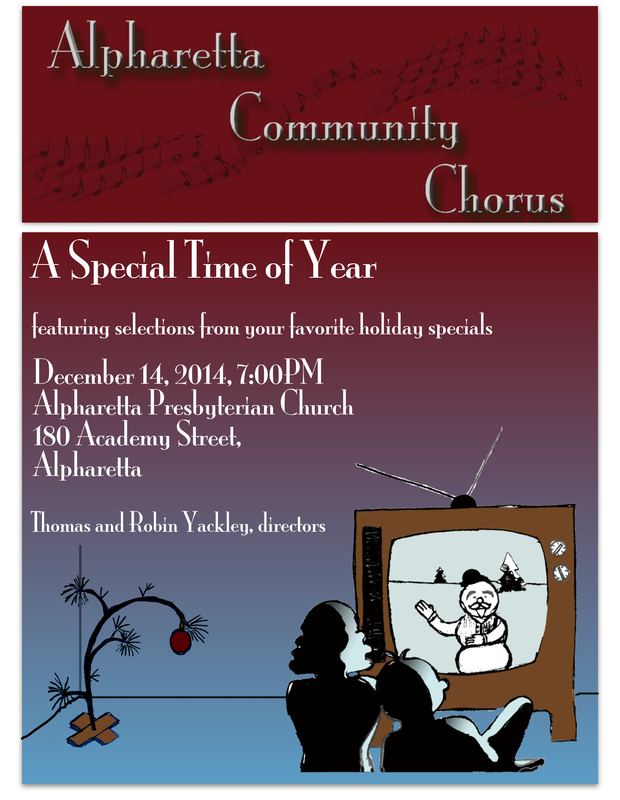 A Special Time of Year, Dec 14, 2014, 7PM. 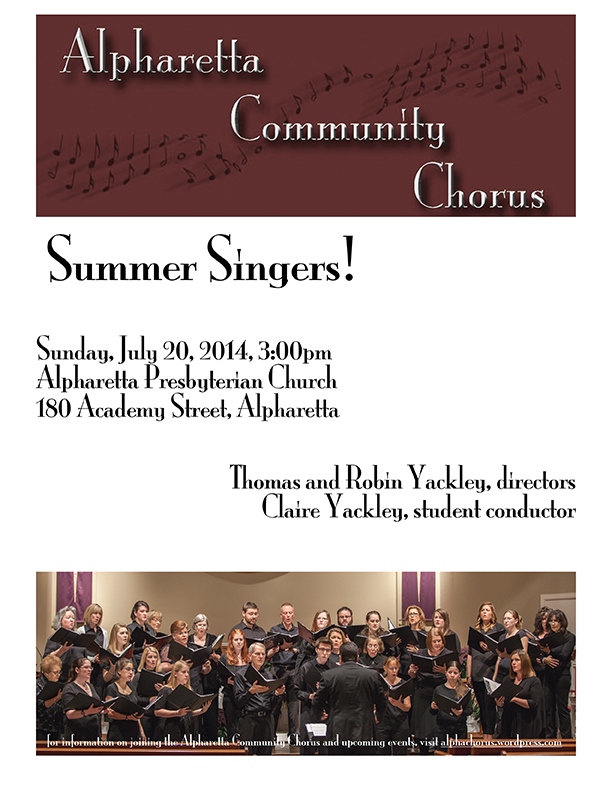 All concerts are in the sanctuary of Alpharetta Presbyterian Church unless otherwise indicated.